Towards the end of 2015, Turkey's capital, Ankara, saw what many described as the city's first ever public performance art piece. 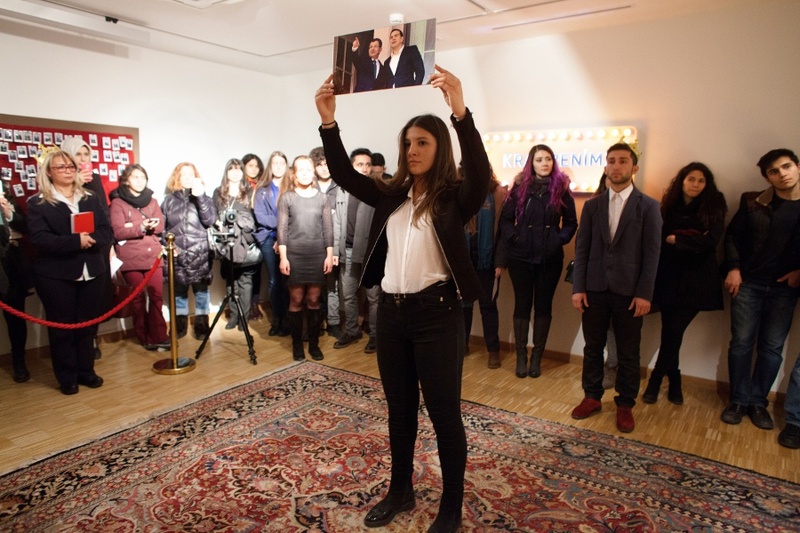 Revolving around the aesthetics of political disagreement, two well-attended stagings ofThe Art of Disagreement, by Istanbul-based artist Işıl Eğrikavuk, bookended the Festival on Wheels, a traveling film festival presented by the Ankara Cinema Association, where Eğrikavuk was the featured artist. Işıl Eğrikavuk, The Art of Disagreement, 2016. Documentation of performance. The Art of Disagreement mimics the welcome receptions often held for visiting heads of state, with the audience positioned in the role of VIP guest. Staged in the two rooms of the ground floor space of the SALT ULUS art venue, guests were welcomed with a red carpet and a line of eight greeters at the entrance, who made up a cast of some thirty actors in black suits taking part in the performance. Visitors filled the first room where performers re-enacted vignettes of placid diplomacy as pulled from world news headlines. In one, a politician points to the distance, their gesture followed by the gaze of the visiting dignitary, modelled on an original image featuring Turkish Prime Minister Ahmet Davutoglu and Greek PM Alexis Tsipras. Action erupts abruptly in the centre of the long room, as a female actor wearing a crown and standing on a pedestal begins to narrate an original 24-line fairy-tale. The performer stands on a pedestal and orates, as if at the Roman Forum. Reminiscent of the 'people's mic' where a crowd repeats the speaker to ensure that the message is carried to the outermost edges of the group, each line she reads is echoed by a six person chorus who line the short hallway opposite her. She talks about a kingdom whose open throne prompts all citizens to declare, 'I am the King'. The story reads like a Greek tragedy. In the fable, 117 years and 83 days after the kings death, an oracle arrives in the town and announces that the kingdom system has long since died out. The announcement leads to mass celebration. When the tale has ended, a different group of actors begin to sing a traditional folk song from Turkey, "Bom bili bili bili bom. Bom bom bom bom...". These actors are inter-mixed with the crowd, singing and dancing. At the song's conclusion, a commotion breaks out – two performers tussle with each other until one spots an enlarged photograph of two PMs from Turkey wrestling on the Parliament floor displayed to the assembled crowd by an actor. This is followed by another action scene and corresponding image, all taken from political media coverage; this time, an awkward handshake between leaders and then a full blown fist-fight on the Parliament floor. Four times, image prompts are used to incite the actors to recreate these still images in comic re-performances. When this cycle of action ends, the orator in the crown begins the fable once more and a new cycle begins. The result is a 15-minute performance loop. Işıl Eğrikavuk, The Art of Disagreement, 2016. Anonymous politician photo-op (head-in-the-hole tableau). While this performance went on, a hallway led to the second and final room, filled with various delights, including crowns to wear and a traditional amusement park head-in-the-hole tableau, with which crown-wearing visitors can take a photograph shaking hands with an anonymous politician. Instant polaroids are created at this photo opportunity and displayed onsite, with many guests instantly sharing their images on social media. Finally, guests are welcomed to savour kadayıf, a very sweet, traditional Turkish dessert. In The Art of Disagreement, Eğrikavuk utilizes the two main tools used by politicians to influence the public, as described by French social psychologist Gustav Le Bon: namely, an image and an orator. In doing so, she mixes fact with fiction in order to produce a space where a new perspective can take hold. 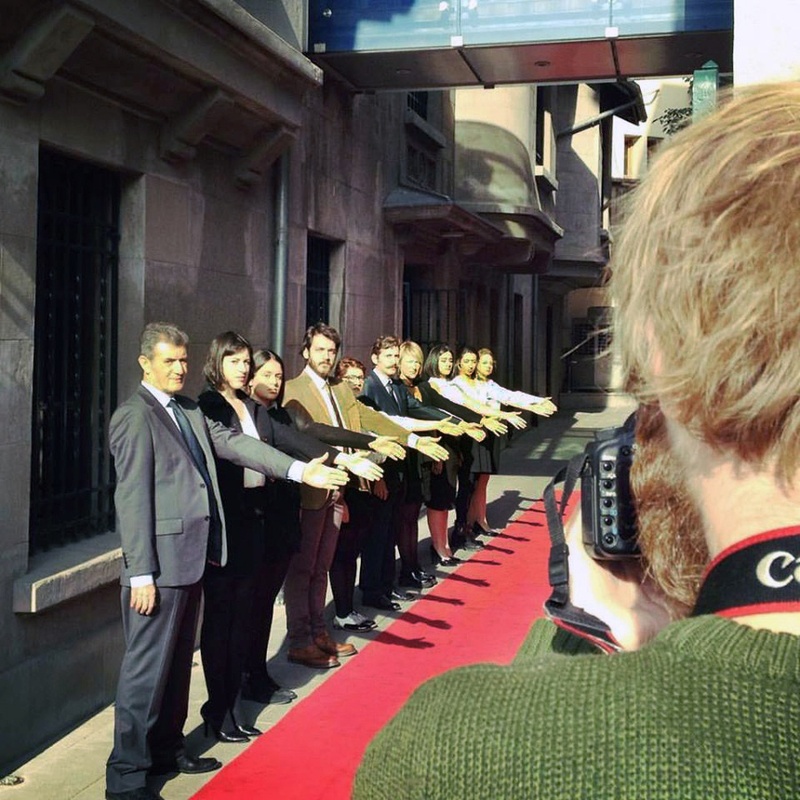 Grounded in historical references to democracy and its relationship to public orating, The Art of Disagreement draws inspiration from common images of political dis/agreements seen in the media, both from Turkey and abroad. By re-performing political images from the news in this new and comical context, she exposes their absurdity. Using humor and satire to distance the audience from the world's harsh realities, Eğrikavuk's fable ends in celebration, but poses a sombre question: what would the world be like if it was made up only of kings? This in turn points to another urgent question: Is it really possible to accept and even make progress through political disagreement? 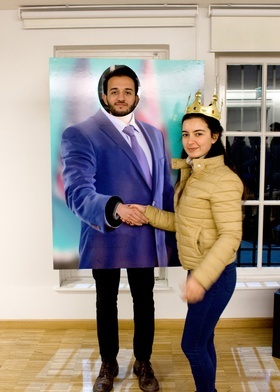 When Eğrikavuk originally accepted the Festival on Wheels' invitation to exhibit in July 2015, she wanted to do something special for Ankara; a response to what Turkey was going through at the time, as a result of the their dramatic June parliamentary elections. These elections witnessed the inclusion of minority parties such as The Peoples' Democratic Party (HDP) gain seats in Parliament. At that moment, it seemed that the ruling AK Party would be forced to compromise for the first time in 13 years in order to form a coalition government, as mandated in Turkish law. 'We were all watching, but it was obvious they would not agree,' recalls the artist. 'They were just issuing each other lists of demands.' This failure resulted in a second election at the end of November. 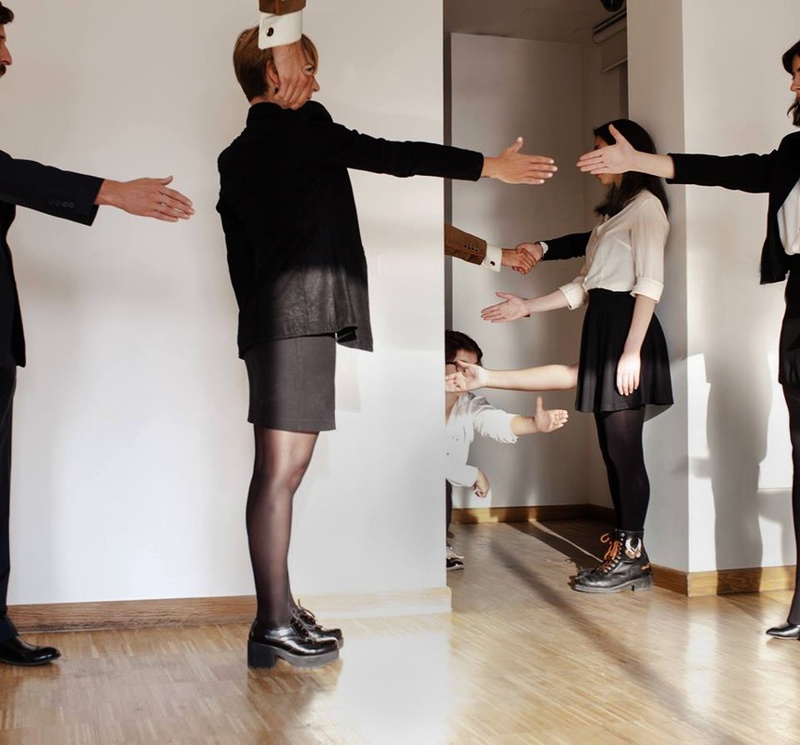 Işıl Eğrikavuk, The Art of Disagreement, 2016. Promotional shot. On October 10th, just one month before Eğrikavuk's first performance, there was a bombing in Ankara. One hundred and two men, women and children were murdered as they attended a peace march. It was the worst such attack in the history of Turkey. This event, less than 200 meters from the exhibition venue, bought a new urgency to the use of the Turkish folk song, "Bom, bom, bom..." So offended by the differing views of the marchers, the bombers resorted to the ultimate lack of empathy – murder. There are many theories about the perpetrators of this attack, but one thing is clear, the bombers saw no room for disagreement. It was a painfully stubborn reminder that there are no rules, only civility. In the wake of the bombing, the new elections became a spectacle in its truest Debordian sense, in that the spectacle, like the election, worked only to reconstitute itself – when handshakes and fist-fights prove vacant. Political impasse in Turkey is nothing new. The ruling AK party has a famous history of failing to find common ground with other parties. Since they came to power in 2002, they have repeatedly initiated the drafting of a new, updated constitution. Seeking a full consensus from all parties on each item, after over two years of negotiations, only a handful of the needed articles had been approved. In 2013, this concept of a new constitution was scrapped, only to re appear again, in recent days. 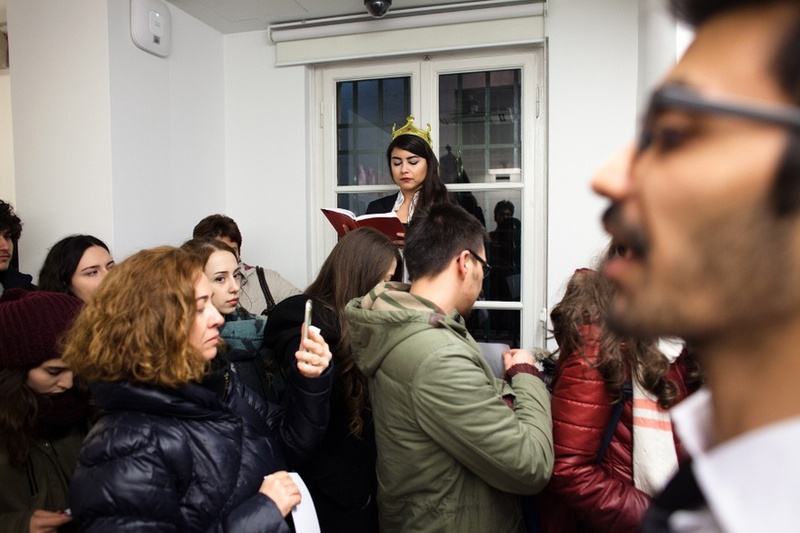 In her research for the performance, Eğrikavuk began reading these "disagreement" transcripts from the Parliament floor, as well as, researching the phenomenon of disagreement. She notes that one PM lamented, 'if only we could all agree, it would be like kadayıf [so sweet]' – hence the inclusion of the dessert in Eğrikavuk's performance, a sweet and nostalgic reward, but not a full meal. In her research, she came across the theory of 'Strategic Pessimism' as discussed in 'How to Disagree' by the Book of Life, which presents tools for more meaningful, nuanced disagreement. Strategic Pessimism is the notion that one should expect to disagree – that disagreement is normal.Disagreement is a fact of political life. 'We can not seek agreement as the only acceptable outcome', Eğrikavuk explains, 'And we should really celebrate when we do agree.' If one accepts that agreement is not a natural state (pessimism), one will be less surprised and indeed, less offended when confronted with it. This composure is one tool toward maintaining empathy for an adversary, a key ingredient in successful disagreement, also called compromise. Images have power. The proliferation of the political performance of disagreement in the media works to undermine real progress and civility in our governments and also in our everyday lives. These fake handshakes and over the top physical altercations work to mask dishonesty and corruption, while keeping us from real methods of understanding each other. It keeps us content in our dark disagreements, safe in our narrowly reinforced perspectives. Do we secretly love (or at least like) to disagree? Politicians are very aware of these dynamics. Their re-enactment of the these tropes placate us. When we accept that, it's "us vs them," we fail to acknowledge the humanness of our adversary. In The Art of Disagreement, Eğrikavuk encourages us to look past images, to adopt Strategic Pessimism, to understand that agreement is the exception and maybe even seek out a new image of disagreement, or demand one from our leaders. Eğrikavuk will be performing the work again on March 24th and 25th in Istanbul at SALT Galata. Gustave Le Bon, The Crowd: a study of the popular mind (T.F. Unwin, 1952), 8. 'The Book of Life. Chapter 4: Self: Virtues of Character,' http://www.thebookoflife.org/how-to-disagree/. 'Wikipedia: 2015 Ankara bombings,' https://en.wikipedia.org/wiki/2015_Ankara_bombings. 'BBC: NEWS, Europe,' Last modified, October 12, 2015, http://www.bbc.com/news/world-europe-34504326. Guy Debord. The Society of the Spectacle (New York: Zone Books, 1994), section 3. 'Sunday's Zaman,' Last modified, December 21, 2012, http://www.todayszaman.com/columnists_failure-of-new-constitution-in-turkey_301844.html. 'Anadoglu Ajanci' Last modified, January 28, 2016, http://aa.com.tr/en/turkey/new-constitution-needed-to-create-new-turkey/511798. Taken from my interview with the artist on December 9, 2015 in Istanbul, Turkey. 'The Book of Life. Chapter 4: Self: Virtues of Character, http://www.thebookoflife.org/how-to-disagree/. Missy Weimer is an American artist and writer living in Istanbul. Weimer maintains a studio practice which includes visual arts, as well as, critical writing. She writes about arts & culture for a number of publications including yabangee.com, exhibist magazine and on her blog, Latin for Honey (http://latinforhoney.blogspot.com.tr/). Currently, she is preparing a paper on two of her passions, photography and tattooing for presentation at the Middle Eastern Studies Association 50th Anniversary meeting in the Fall.